A week of anticipation and excitement glued to tv screens across the country for another successful Cheltenham festival for Irish trainers. The County Tyrone based mill and manufacture of Bluegrass Horse Feeds, were proud to be the feed supplier for over seventy horses running over the four-day festival. Supplied by Delany Performance Feeds, Bluegrass Horse Feeds is the sole supplier of Gordon Elliott who had another successful festival, including the famous Tiger Roll ridden by Keith Donoghue, winning the Glenfarclas Cross Country Chase with ease on Wednesday. Bluegrass are also proud to be the feed supply for trainers including Gavin Cromwell, Olly Murphy, Pat Kelly, Crawford Brothers, Dermott McLaughlin, John McConnell, Hugh Bleahen, Peter Flood and Henry De Bromhead, to name a few. 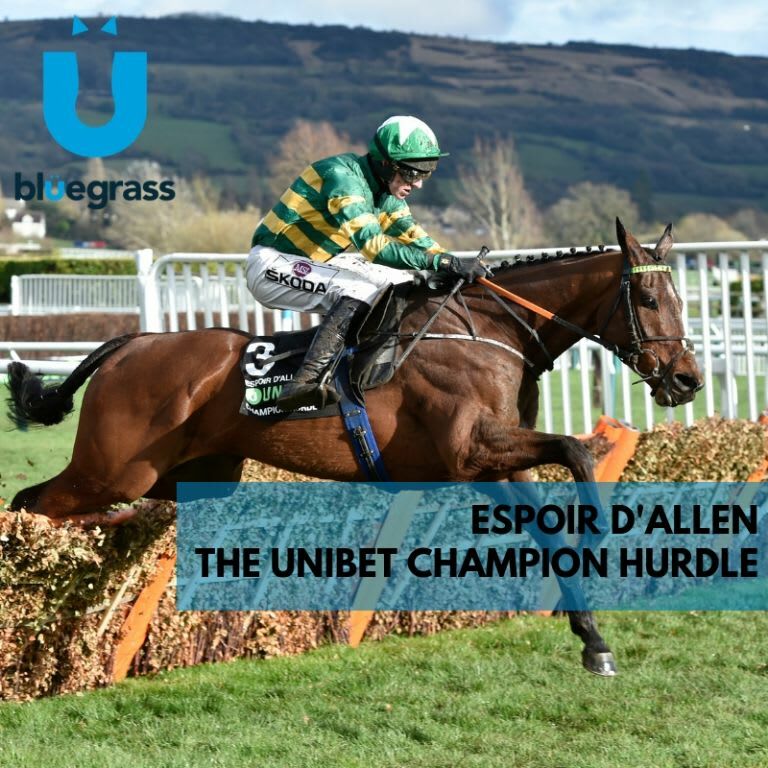 Gavin Cromwell brought home success on day one of the festival with Espoir D’Allen winning the Unibet Champion Hurdle ridden by Mark Walsh. Followed by Henry De Bromhead trained, A Plus Tard winning the Close Brother Novices’s Hurdle ridden by Rachael Blackmore. Gordon Elliott was on form on day two winning the Weatherbys Champion Bumper with Envoi Allen, the Glenfarclas Cross Country Chase with Tiger Roll and Sire Du Berlais winning the Pertemps Network Final Hurdle on day three Henry De Bromhead kicked off the final day with a great win in the Albert Bartlett Novices’ Hurdle with Minella Indo ridden by Rachael Blackmore. Bluegrass Horse Feed is one of Irelands leading horse feed manufactures and are the Irish Balanced Partner of Kentucky Equine Research. Back in October 2018, some of the Bluegrass team travelled out to the Kentucky Equine Research conference, to continue developing and understanding the science behind these products. This close partnerships gives Bluegrass the advantage of working with the world leaders in equine nutrition, with access to the latest research and understanding of equine nutrition and exercise physiology.